Add first 5 ingredients to a large zipper bag. Chop potatoes and carrots into bite size pieces and add to zipper bag. Zip and shake well to mix. *potatoes must be cut into 1/4-1/2 inch pieces or smaller. 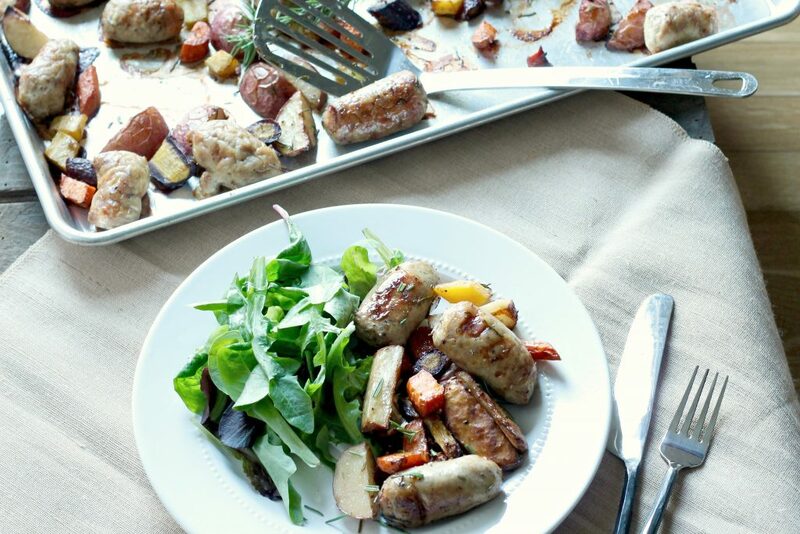 Chop sausage into 3 inch pieces using a knife or scissors and place in bag with vegetables. Zip and shake to mix well. Pour everything onto a baking sheet sprayed with non stick spray. Bake 375 degrees for 25-35 minutes or until sausage is cooked through.